Ashmoor Woods Homes for Sale | Louisville, Kentucky | Ashmoor Woods Real Estate | Louisville MLS | Joe Hayden Realtor - Your Real Estate Expert! View all Ashmoor Woods Homes for Sale on the Louisville MLS listings below! Ashmoor Woods real estate is located near Louisville, Kentucky in Eastern Jefferson County off of Shelbyville Road. The subdivision of Ashmoor Woods is convenient to the Gene Snyder Freeway and I-64. Ashmoor Woods homes are considered luxury homes and are found in a neighborhood with tree-lined streets. The Ashmoor Woods subdivision has great access to local shopping and amenities making the neighborhood very desirable for Louisville residents. Homes for sale in Ashmoor Woods range in price from $300,000 to over $700,000. Ashmoor Woods homes are typically constructed of brick, they usually have very open floor plans, and many have finished basements. You will also find elaborate back yards, exciting swimming pools, luxurious master bathrooms, and kitchens with granite countertops in Ashmoor Woods. Set among beautiful mature trees and rolling hills, the subdivision of Ashmoor Woods is one of the more attractive subdivisions in all of Louisville, comparable to the nearby subdivision of Lake Forest. The area around Ashmoor Woods helps establish the neighborhood as a desirable community and continues to draw residents to the area. Because of this fact, homes in Ashmoor Woods do not remain on the market for very long at all. With easy access to the Gene Snyder Freeway, Interstate 64, and Downtown Louisville, Ashmoor Woods allows residents the ability to travel to work, entertainment, shopping with relative ease. For example, The Summit shopping is just a short drive away, plus you can always find a great restaurant such as Ramsis nearby. 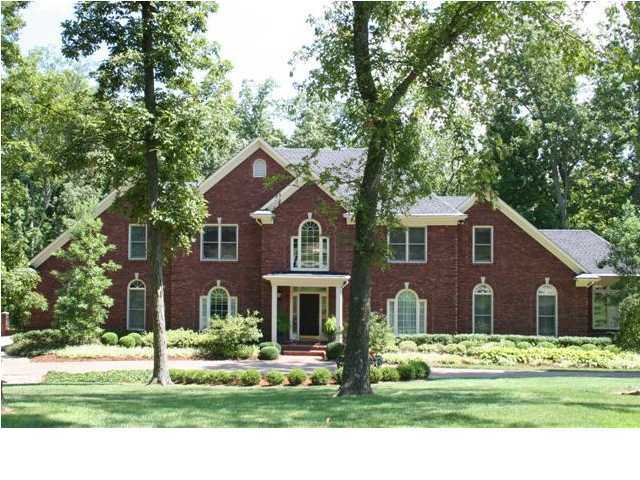 See all Homes for Sale in Ashmoor Woods on the Louisville MLS. You can research Ashmoor Woods homes on the MLS listings below. Ashmoor Woods is a great place to call home!